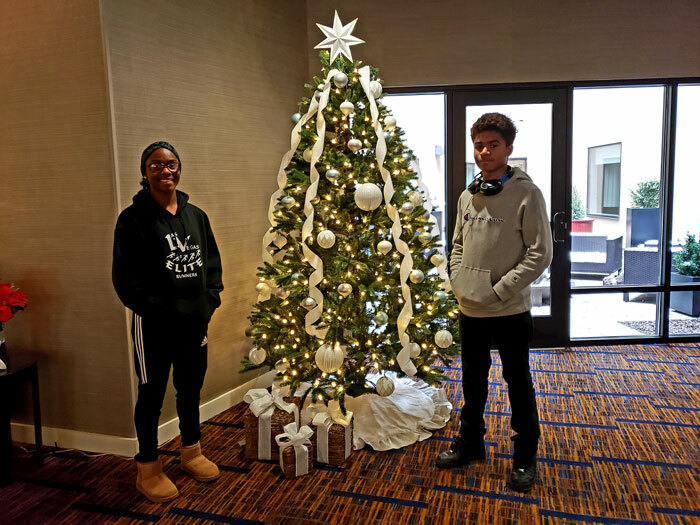 Kaiyah Davis-Mitchell finished her first season of cross country running at the National Junior Olympic Cross Country Championships in Reno, Nevada on December 8, 2018 and we couldn’t be prouder of her. 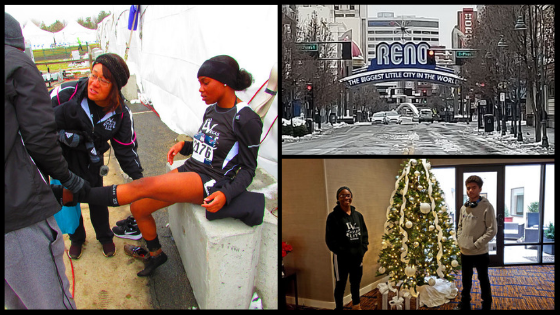 With the help of Coach Stepfon and her teammate, Jeramiah Davis, Kaiyah continued to train at Mount Charleston and locally until she reached Reno. 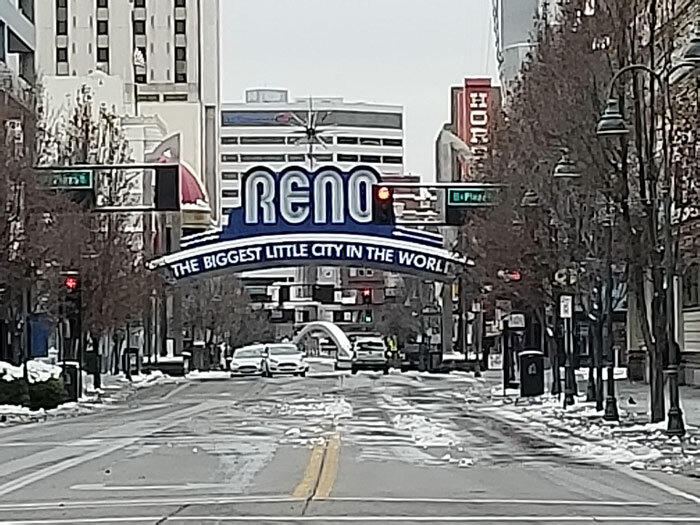 From the moment we arrived at Reno-Tahoe International, the Junior Olympic excitement was evident as we passed banners and signs and saw teams and runners arriving from around the country. The real treat was the spirited opening ceremony that really gave you an Olympic feel with the introduction of each region and the performance of a very good drumline and dance squad. This excitement gave way to reality after the course walk, where everyone instantly realized that the course and conditions would be a true test for runners and PR’s would be hard to come by. For Kaiyah, the race couldn’t have been more fitting, as it was the most challenging of all her races. 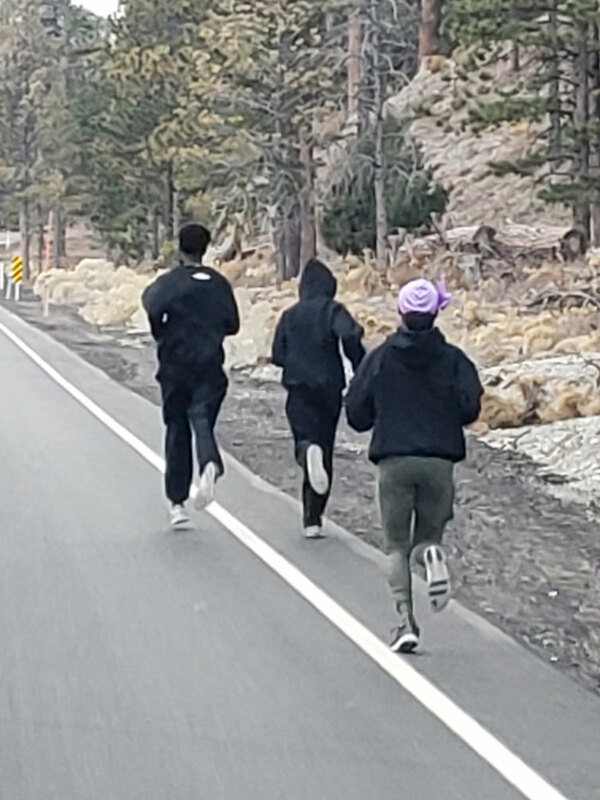 Over 1300 runners faced ice, snow, wet, cold, muddy conditions and over 4000 feet of altitude that tested them mentally and physically. The mental part of the race seemed to take the heaviest toll. Many runners could be seen walking, muddy and exhausted after the race. At the finish line, many voiced how hard it was to run the course. Kaiyah, given the climate conditions, proved to be up to the task even more than we expected. The start of the race featured a long 400 meter ascend that Kaiyah ran perfectly – at a 65% pace, while others went out fast and found themselves with little energy to run their best race. Kaiyah, although not in the lead group, got stronger with each lap around the course. 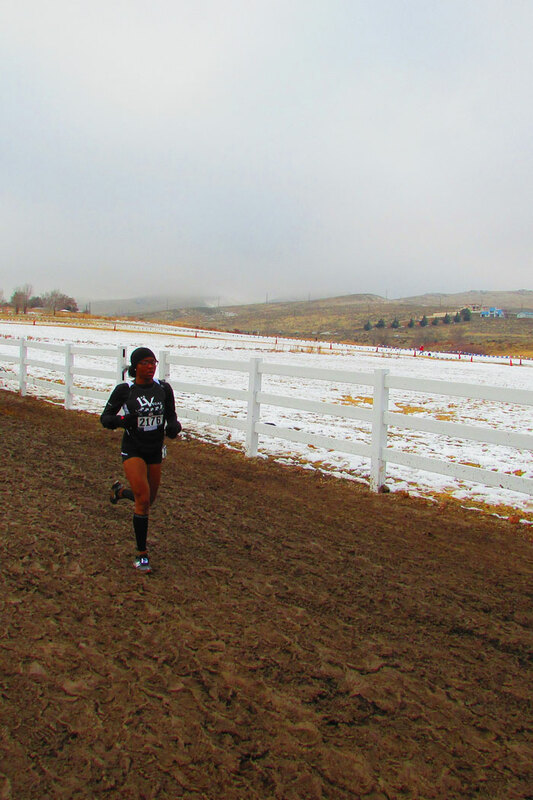 She did an excellent job of maneuvering the heavy mud and focusing on passing each runner in front of her to increase her pace and finish with a nice sprint to the finish line. 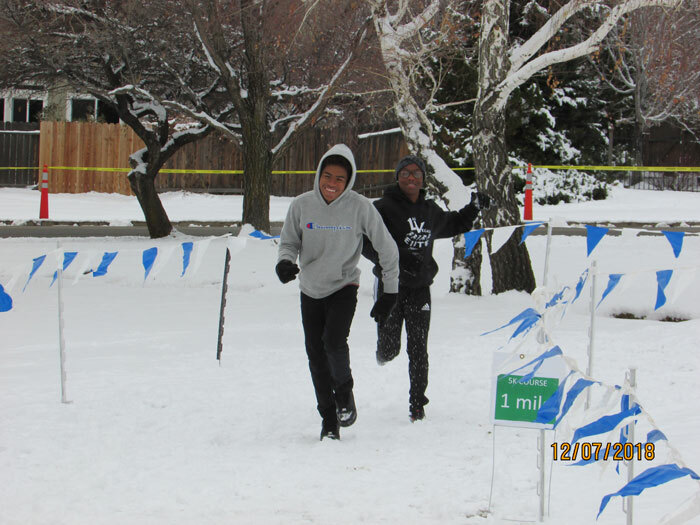 What amazed us most, was that Kaiyah seemed to thrive in these conditions, staying within 40 sec of her PR on a slow course that affected others by twice as much. It showed us how strong and tough minded she is. 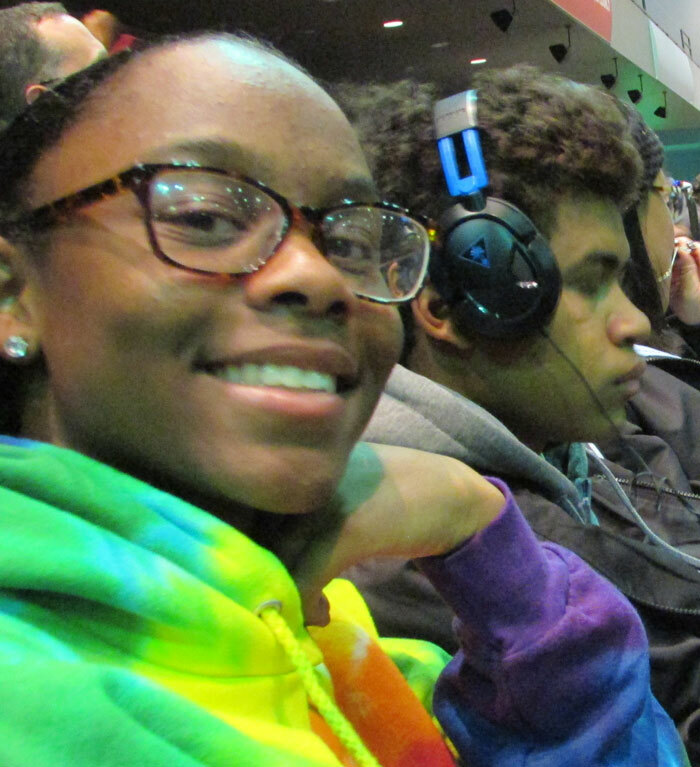 Kaiyah has a resiliency that is rare, she is determined, hard-working and is tough as nails. Even when she is hurting from a workout, she always finds something extra. She never gives up, never walks, runs to her strengths and always tries to stay positive. When you see Kaiyah train, she embodies the following mantras – it isn’t where you start – it’s where you finish, hard work outworks talent when talent doesn’t work hard and I’m not here to play, I’m here to work. 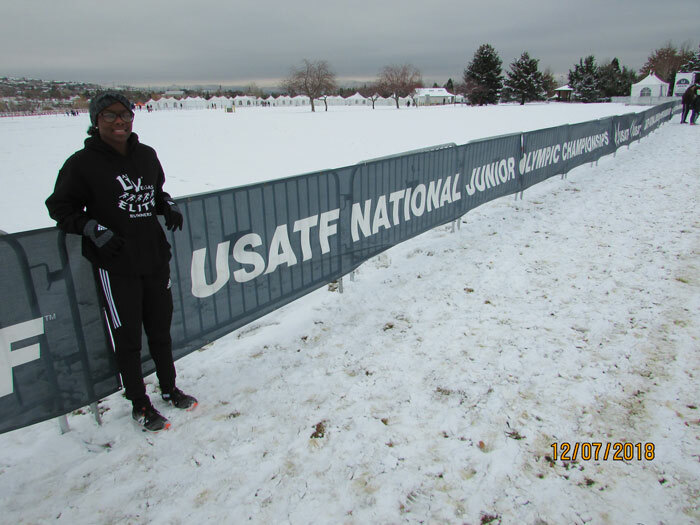 Kaiyah represents all that is good in an athlete and running. 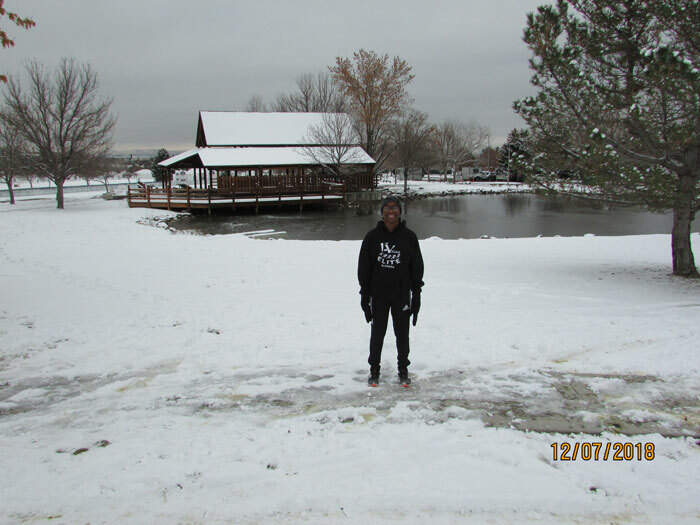 She is a sprinter but still chose to run cross-country on her own to build her strength, endurance and pain threshold. 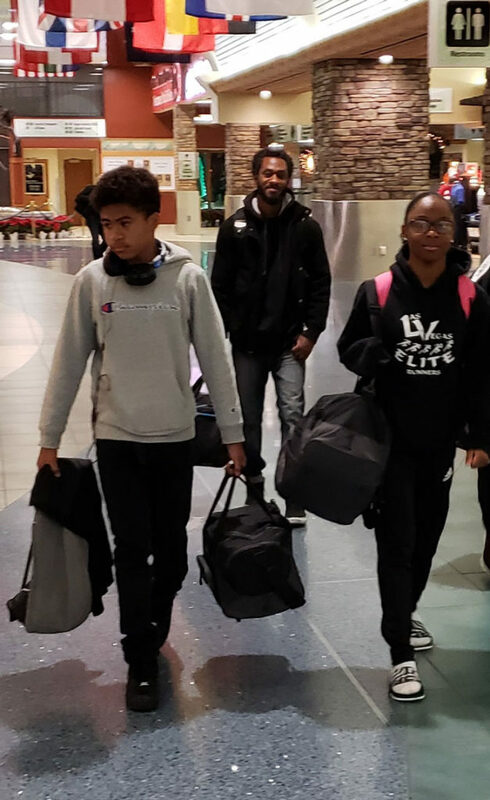 Kaiyah, like any athlete or person, needs encouragement at times to push through the rough patches of her training; whereby, she maintains a maturity and genuinely tries her best. 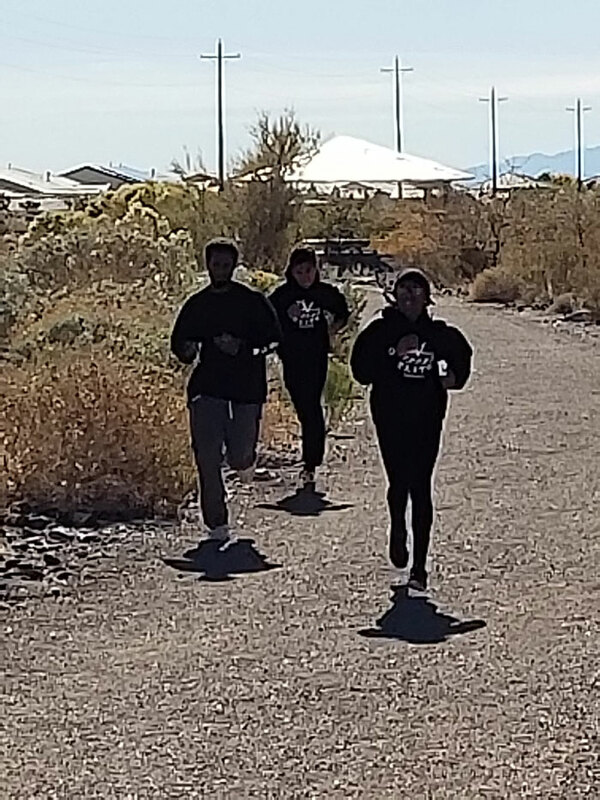 She is an outstanding example of what the Las Vegas Elite Runners represent, and we are beyond proud of all her accomplishments. Hopefully Kaiyah’s special traits will inspire other runners to stay encouraged and always put forth their very best effort in all they do.